In a bedroom space, one can combine both styles at once. 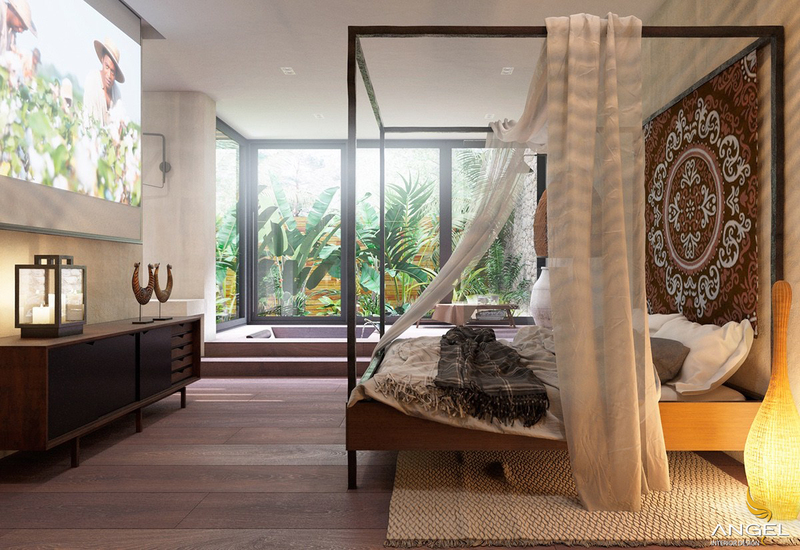 Decorate your bedroom in tropical style with the tribe as you bring to a strange world. Where you can mix with nature and strike an ideal dream. Looking to see the space is segmented through the simple wooden floor play. 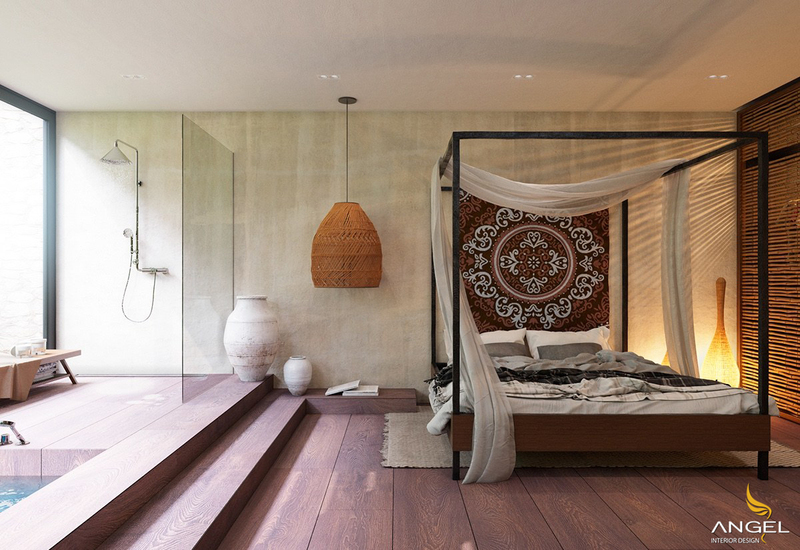 In the bedroom, a frame of four hanging with brown and white for tribal style. White curtain hung above the layout of the ancient kings. While the cool green leaves are outside, the black frame makes the room more modern. A bright amber lamp, wooden motifs and warming lights are attracting people on traditional wooden cabinets. 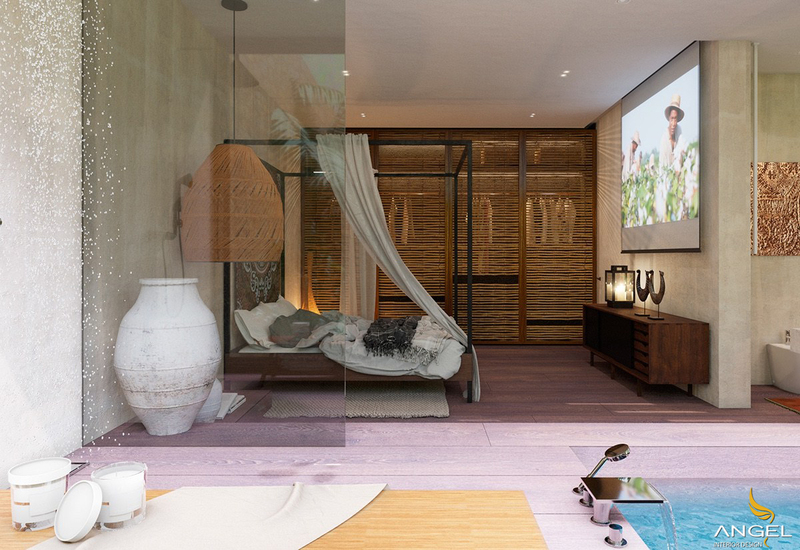 Swimming pool "modest" for the room. 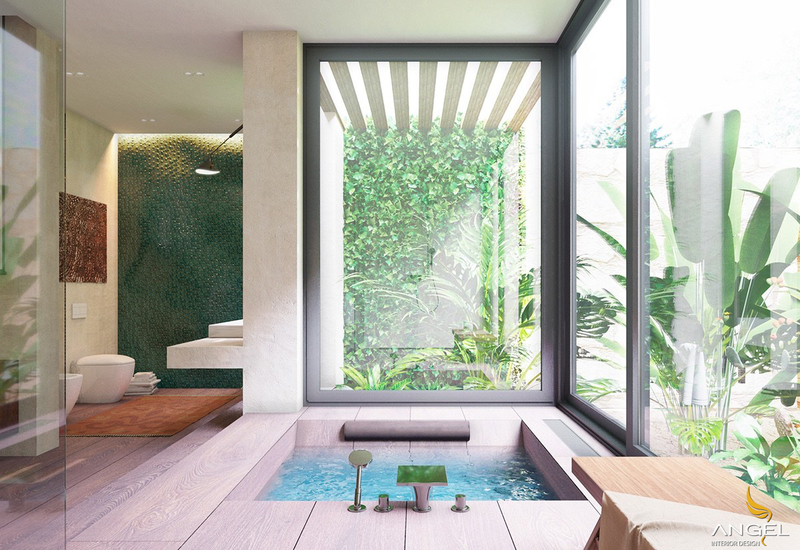 Space entered the pool area, modernized with accessories made of durable chromium. Decorated with sugar cane walls, terracotta pots are painted in brown. 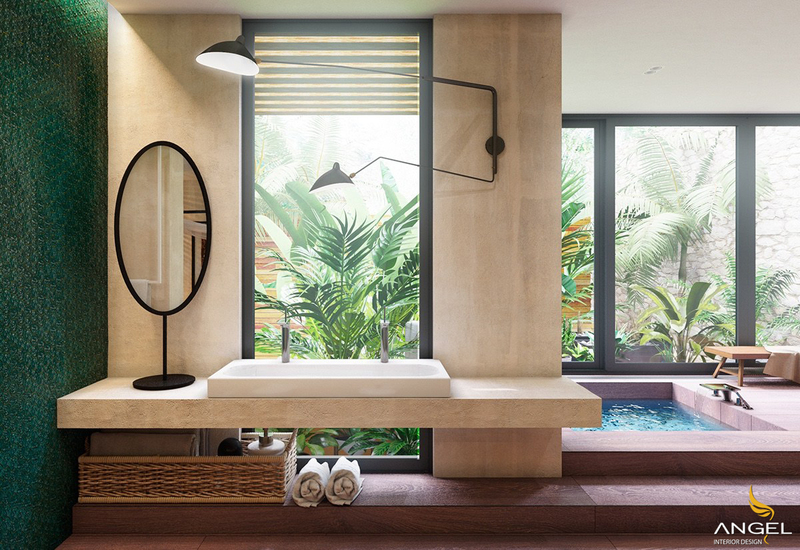 A fixed shower provides another space when bathing. Outdoor plays a large part in the design, through the large black frame windows. Look at the restroom, the green exterior reflects the jade inside. From the toilet, a beige oval mirror appears as another window. 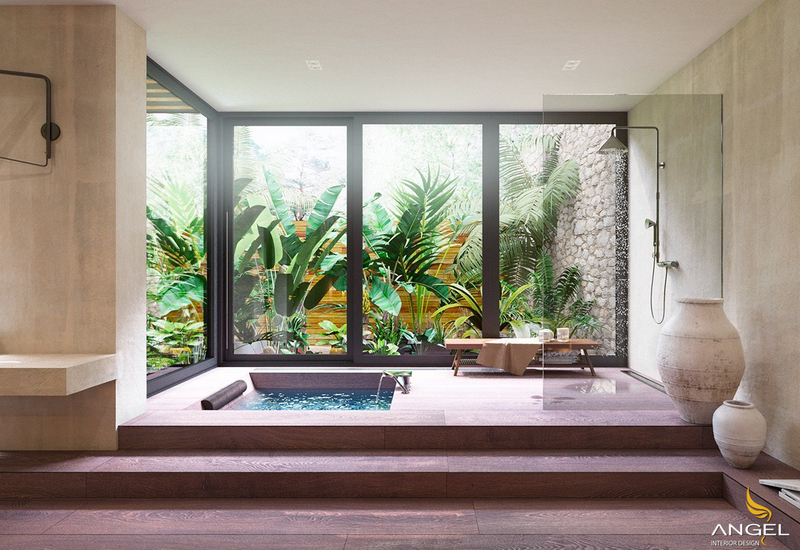 Cool for a tropical bath. 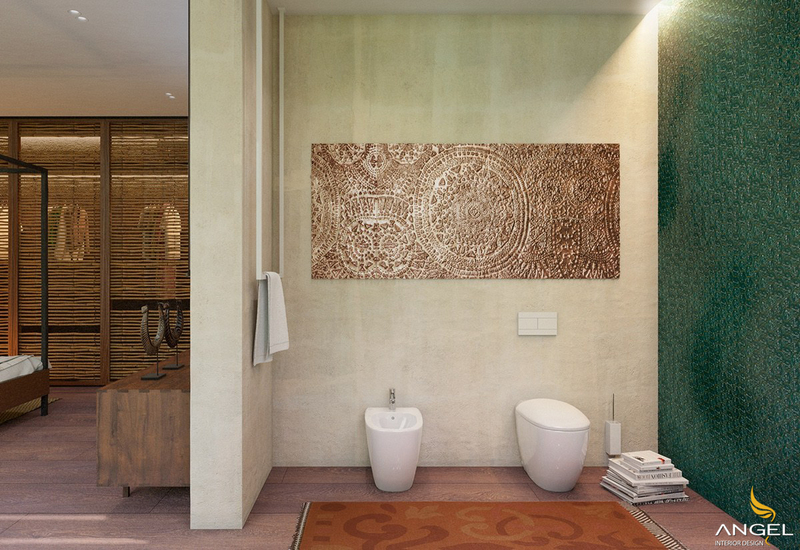 The bathroom is "airy", decorated with a gold graphic image lying flat on the wall. In that, the interior is just the simplest minimalist thing. But also called quite enough for a "cool" space like this.